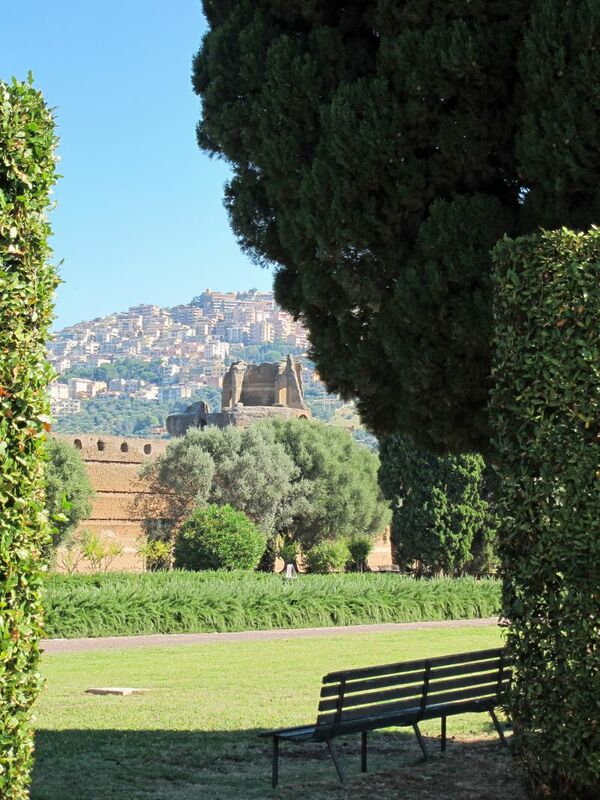 The villa was constructed at Tibur (modern-day Tivoli) as a retreat from Rome for Roman Emperor Hadrian during the second and third decades of the 2nd century AD. 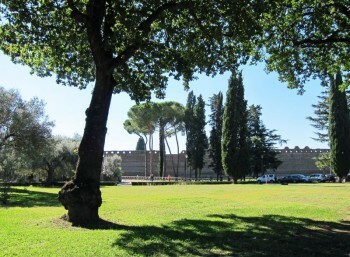 Hadrian was said to dislike the palace on the Palatine Hill in Rome, leading to the construction of the retreat. During the later years of his reign, he actually governed the empire from the villa. 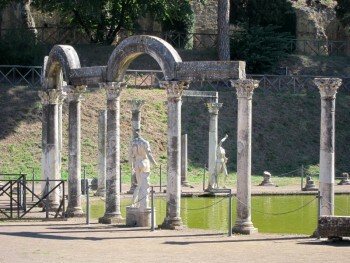 Hadrian moved to the Villa as his official residence around AD 128. A large court therefore lived there permanently. The postal service kept it in contact with Rome 29 km (18 mi) away. After Hadrian, the villa was occasionally used by his various successors (busts of Antoninus Pius (138-161), Marcus Aurelius (161-180), Lucius Verus (161-169), Septimius Severus and Caracalla have been found on the premises). Zenobia, the deposed queen of Palmyra, possibly lived here in the 270s. 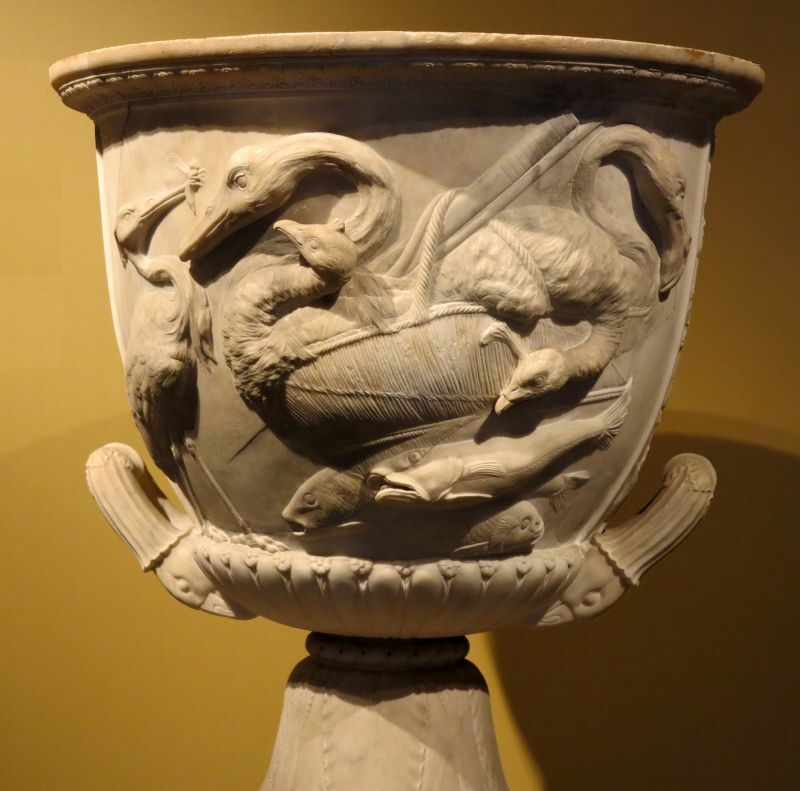 During the decline of the Roman Empire in the 4th century, the villa gradually fell into disuse and was partially ruined as valuable statues and marble were taken away. The facility was used as a warehouse by both sides during the destructive Gothic War (535–554) between the Ostrogoths and Byzantines. Remains of lime kilns have been found, where marble from the complex was burned to extract lime for building material. In the 16th century, Cardinal Ippolito II d’Este had much of the remaining marble and statues in Hadrian’s Villa removed to decorate his own Villa d’Este located nearby. 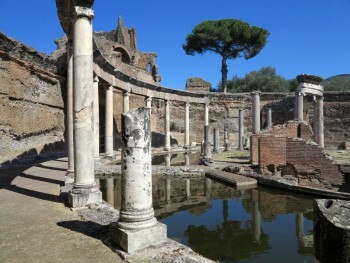 Hadrian’s Villa is a vast area of land with many pools, baths, fountains and classical Greek architecture. 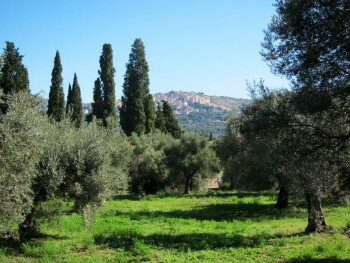 The site buildings are constructed in travertine, lime, pozzolana, and tufa. The complex contains over 30 buildings, covering an area of at least 1 square kilometre (c. 250 acres (100 ha)) of which much is still unexcavated. 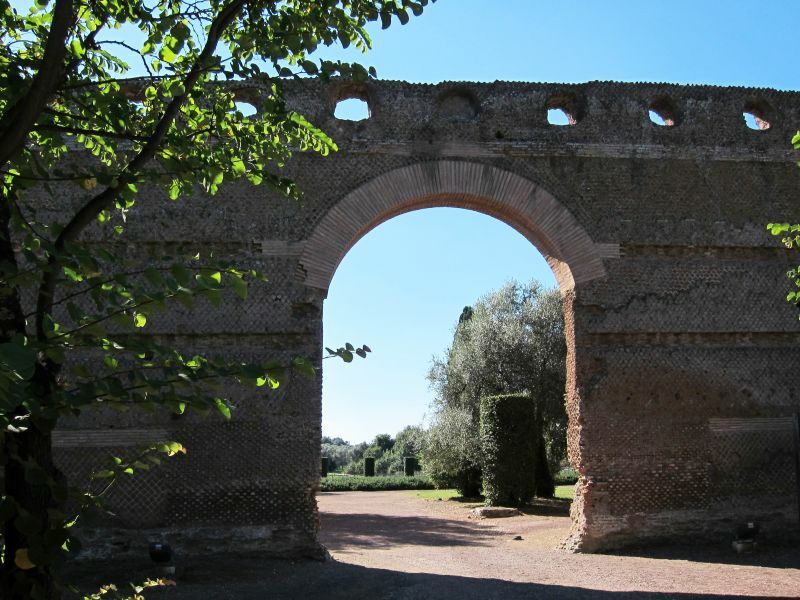 The land was chosen due to its abundant waters and readily available aqueducts that passed through Rome, including Anio Vetus, Anio Nobus, Aqua Marcia, and Aqua Claudia. 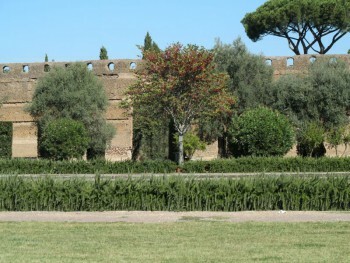 The villa was the greatest Roman example of an Alexandrian garden, recreating a sacred landscape. 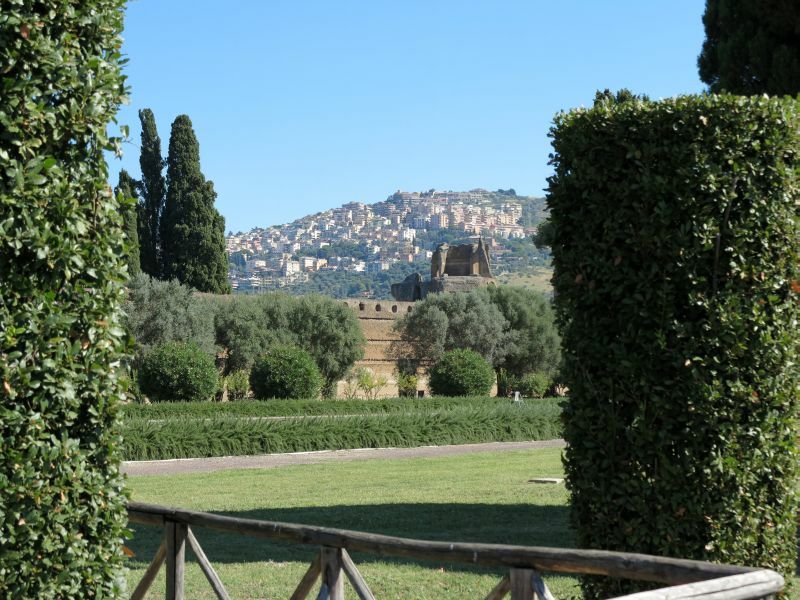 The villa shows echoes of many different architectural orders, mostly Greek and Egyptian. 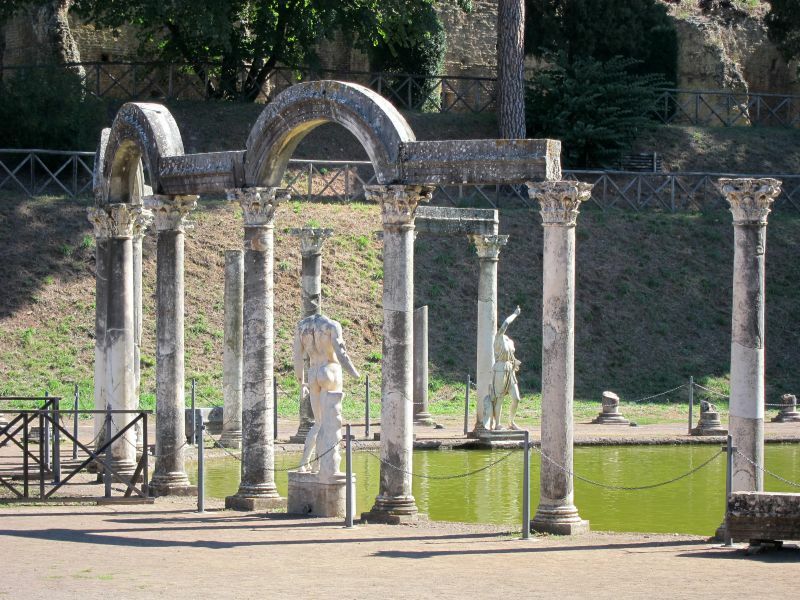 Hadrian, a very well traveled emperor, borrowed these designs, such as the caryatids by the Canopus, along with the statues beside them depicting the Egyptian dwarf and fertility god, Bes. 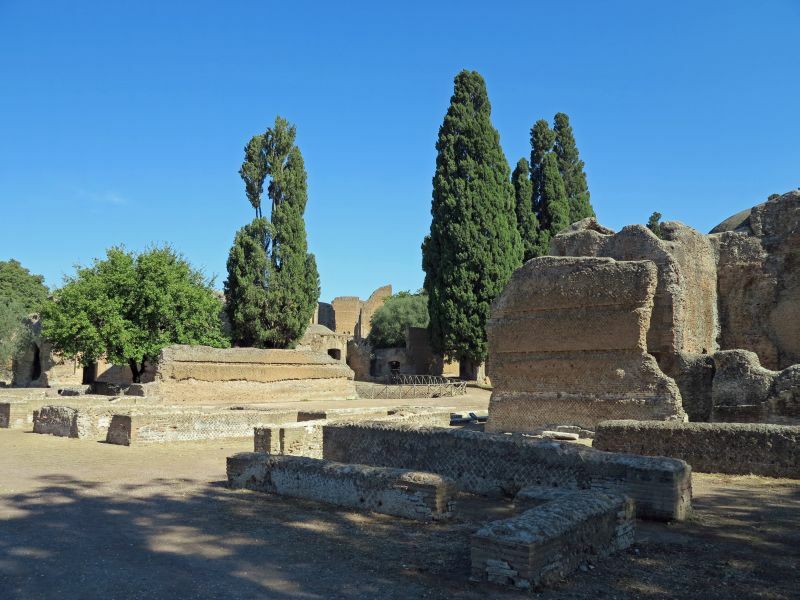 A Greek so called “Maritime Theatre”, also known as the Island Enclosure, exhibits classical ionic style, whereas the domes of the main buildings as well as the Corinthian arches of the Canopus and Serapeum show clear Roman architecture. 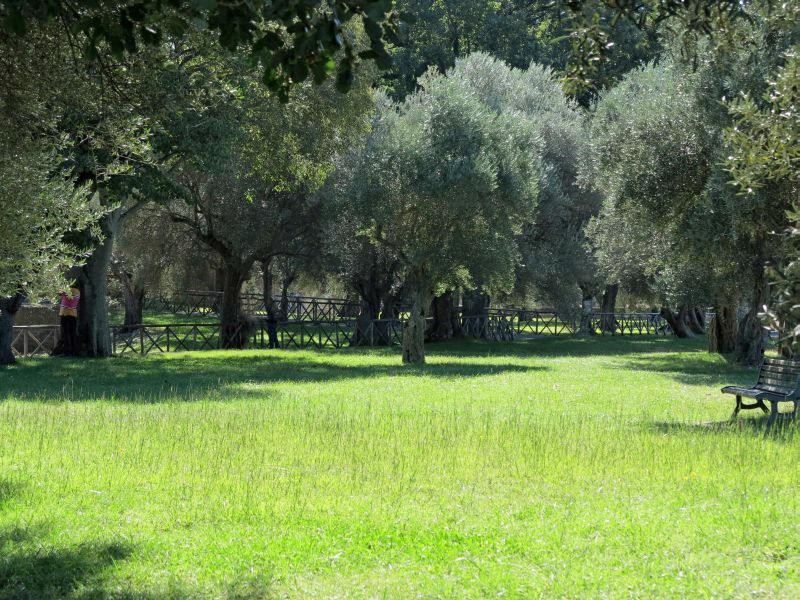 Hadrian’s biography states that areas in the villa were named after places Hadrian saw during his travels. Only a few places mentioned in the biography can be accurately correlated with the present-day ruins. 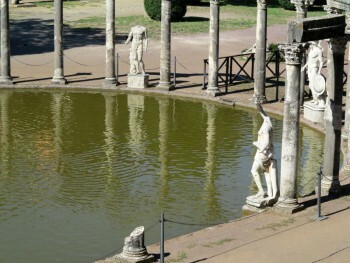 Hadrian’s Pecile located inside the Villa was a huge garden surrounded by a swimming pool and an arcade. The pool’s dimensions measure 232 by 97 meters. 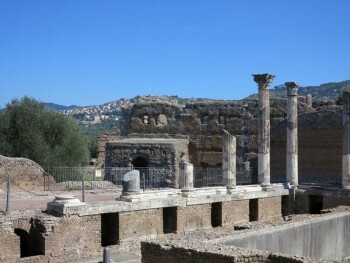 Originally, the pool was surrounded by four walls with colonnaded interior. These columns helped to support the roof. 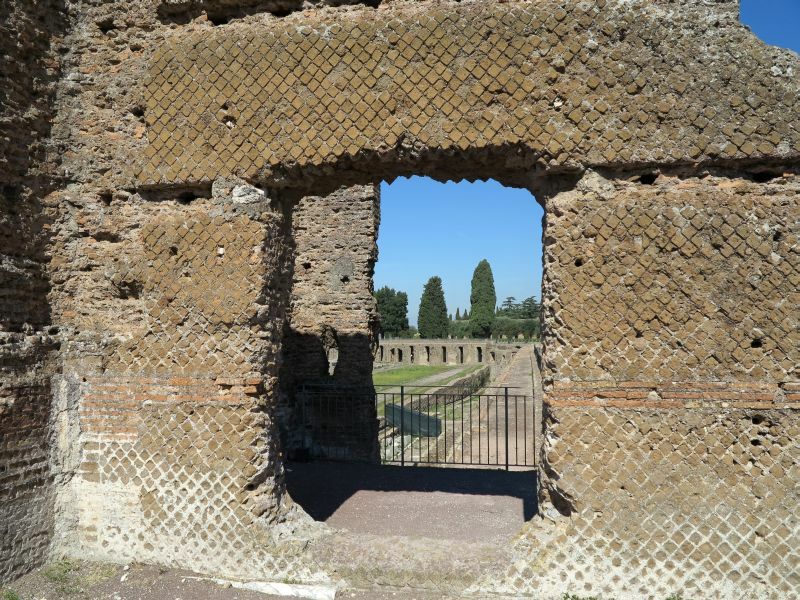 In the center of the quadriportico was a large rectangular pool. The four walls create a peaceful solitude for Hadrian and guests. 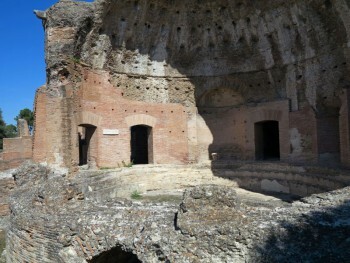 One structure in the villa is the so-called “Maritime Theatre”. It consists of a round portico with a barrel vault supported by pillars. 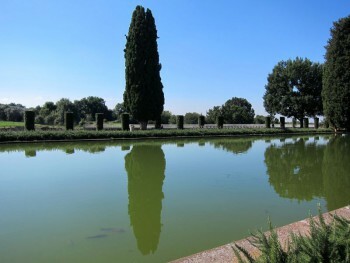 Inside the portico was a ring-shaped pool with a central island. The large circular enclosure 40 meters in diameter has an entrance to the north. Inside the outer wall and surrounding the moat are a ring of unfluted ionic columns. The Maritime Theater includes a lounge, a library, heated baths, three suites with heated floors, washbasin, an art gallery, and a large fountain. 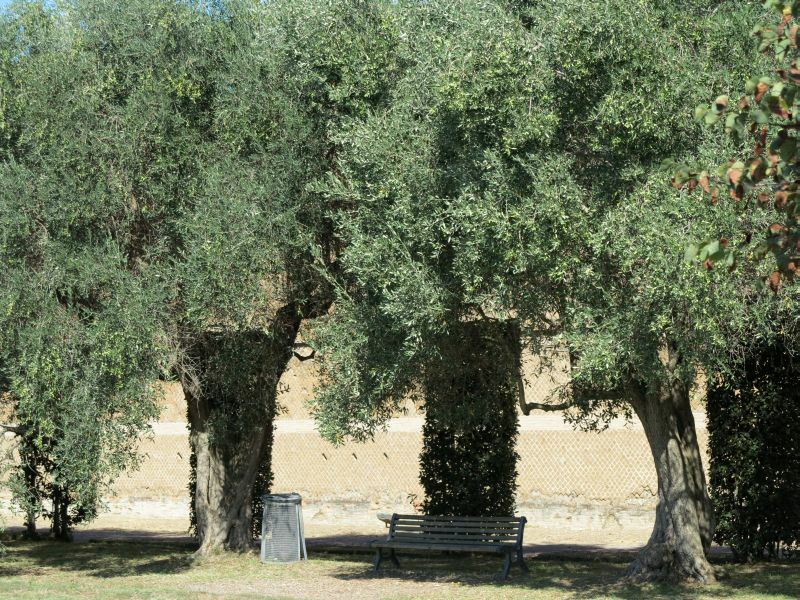 During the ancient times, the island was connected to the portico by two wooden drawbridges. 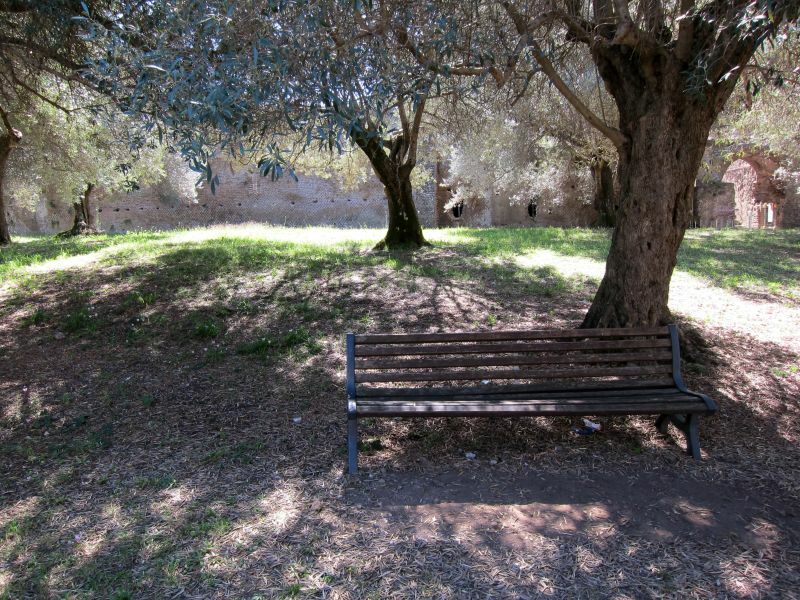 On the island sits a small Roman house complete with an atrium, a library, a triclinium, and small baths. The area was probably used by the emperor as a retreat from the busy life at the court. 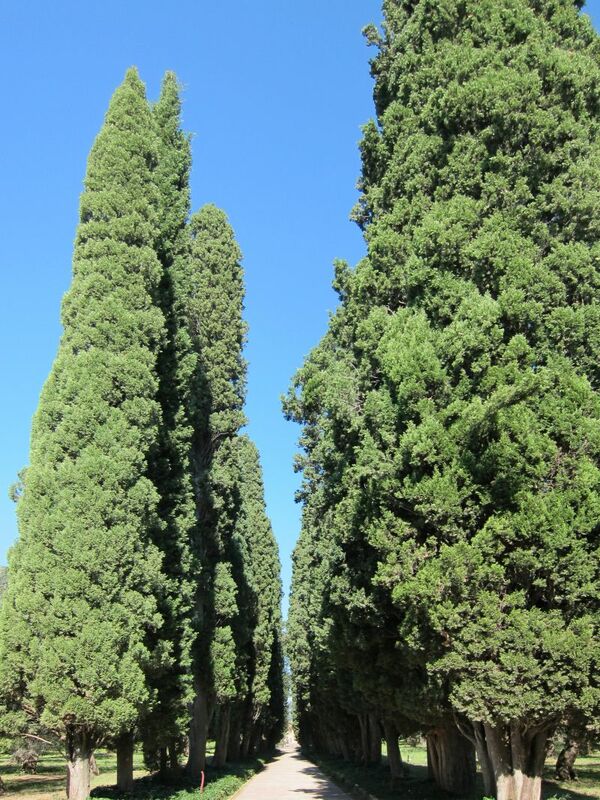 The villa utilizes numerous architectural styles and innovations. 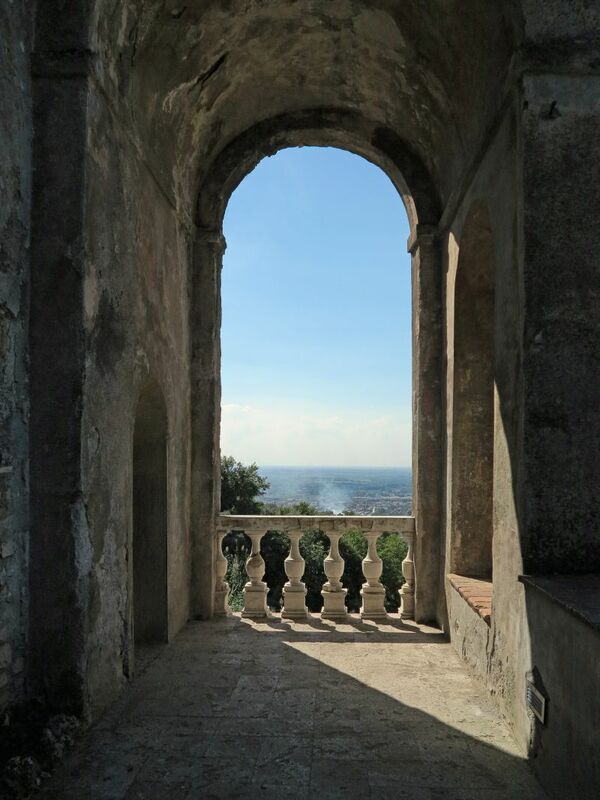 The domes of the steam baths have circular holes on the apex to allow steam to escape. This is reminiscent of the Pantheon, also built by Hadrian. The area has a network of underground tunnels. The tunnels were mostly used to transport servants and goods from one area to another. In 1998, the remains of what archaeologists claimed to be the monumental tomb of Antinous, or a temple to him, were discovered at the Villa. 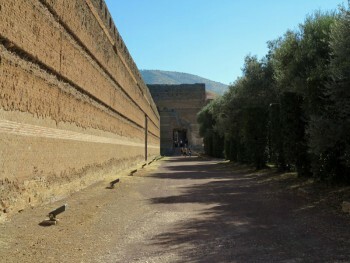 This, however, has subsequently been challenged in a study noting the lack of any direct evidence for a tomb of Antinous, as well as a previously overlooked patristic source indicating burial in Egypt at Antinopolis, and treating the possibility of a sanctuary of Antinous at Hadrian’s Villa as plausible but unproven. 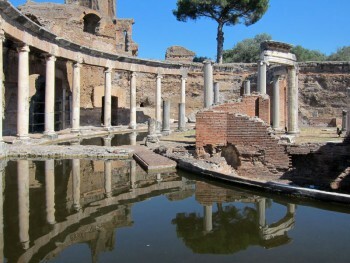 In September 2013, a network of tunnels was investigated, buried deep beneath the villa of Emperor Hadrian near Rome. The villa itself has been described as an architectural masterpiece. A team of caving specialists has discovered that it is even more impressive than previously thought.